We all have those dreams – the ones where you cuff the perps and drive around in the big car with the blue lights. Today we’re talking about a different kind of copper dream, but one potentially just as compelling – a cyber-espionage RPG with a focus on stealth and the scrapes players can get into “between quests and narrative events”. What’s the best RPG ever committed to code? We’ve had a go at figuring that out. 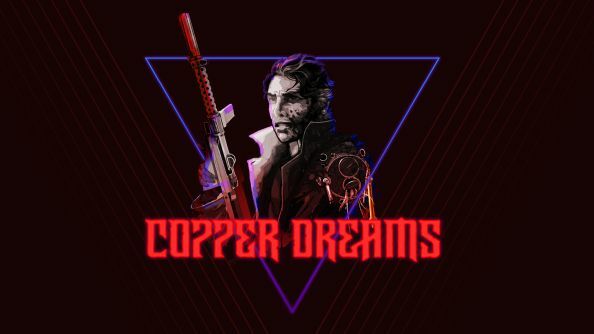 Copper Dreams is an isometric, turn-based game set in a dystopian cyberpunk world. You play a freelance Agent of Asset Inquiries, though your inquiries tend to end in theft. You’re sent after items, intel and “citizens of value”, and in the process tackle some of the situational problem-solving made familiar by Deus Ex. The idea is going down rather well on Kickstarter, where Copper Dreams is more than three-quarters of the way to its goal with five days yet to go. That’s perhaps helped by the fact that developers Whalenought Studios have pulled this off before – their last RPG, Serpent in the Staglands, was Kickstarted two years ago and has since had a pretty positive response on Steam. Whalenought are still pleased with Staglands’ open-world, puzzles and “no-handholding philosophy”. This gameplay style will apparently involve scaling buildings, modifying weapons and smacking goons up in turn-based combat, all while keeping on top of your various physical ailments. That sound like the sort of dream you might have?